Activity Type: Tour of Puyuhuapi on foot or by bicycle. Start: Austral Experience, Otto Uebel 36. End: Austral Experience, Otto Uebel 36. Distance: You can design your own circuit. Special Considerations: Hungry? We recommend a German-Patagonian küchen, which you can find in almost all the cafes in town. Reservations: You can do the tour on your own or with a guide. 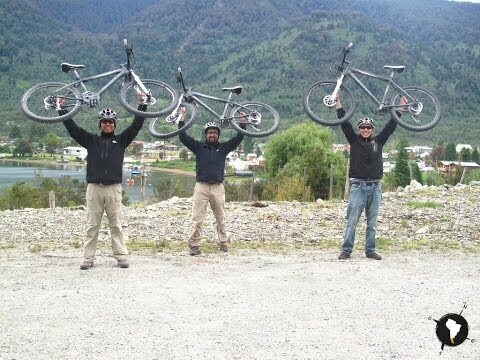 Servicios: If you want to rent bicycles, contact Adonis Acuna, the owner of Austral Experience (www.experienciaustral.com), located in Otto Uebel 36, Puyuhuapi: (09) 87448755; adonisgam_7@hotmail.com; contacto@experienciaustral.com. “Entre Curanto y Kuchen” (Between curanto and küchen), is the name of the book written by Señora Luisa Ludwig, sociologist and daughter of one of the founders of Puyuhuapi. Its most recent edition is available in both Spanish and English and for sale in regional bookstores. The book’s name sums up the culture and history of this town well. “Curanto” is a Chilean dish, from the island of Chiloé. I it is prepared throughout Aysén, owing to the influence this culture has had on the area. Throughout the colonization, immigrants arrived from Chiloe, a big part of the workforce for the building of settlements like Puyuhuapi. They brought their knowledge and traditions, like techniques for the wooden shingles, called tejuelas, used on many of the buildings in Puyuhuapi. They also brought a unique gastronomy with influences of the sea and special recipes like curanto. This dish is traditionally prepared for gatherings and parties, in a large hole in the ground where stones are piled and heated by a huge bonfire. The contents? Delicious seafood (clams, mussels, etc) mixed with sausage, chicken, potatoes and spices and a top layer of giant leaves of the native plant, Nalca. Everything pressure cooks for approximately an hour before it is removed and shared. Küchen is the German word for cake and in Chile, recognized as any sweet, bread-like cake – the perfect accompaniment to a warm cup of tea or hot chocolate. How did these two dishes come together in Puyuhuapi? It’s a story with three main protagonists; a handful of German visionaries looking for a new start in life at the end of the world, a tireless explorer known as the “intellectual author of the Carretera Austral” and a group of dedicated Chilotes who were skilled with their axes and creativity. The history of Puyuhuapi begins in the 1930s, when citizens of some of the provinces of Germany began to seek options and alternatives before the imminent arrival of war. The Chilean government offered free land to those who were willing to work and Patagonia sounded like an area with interesting opportunities. Karl Ludwig, Otto Uebel and Augusto Grosse each came to explore the area, looking for a place to settle. Destiny crossed their paths and they joined efforts, resulting in their discovery of a protected bay with unmatched beauty and immense forest resources. They decided this was the place to bring German families and form a colony, but the task wasn’t going to be easy. Not only must their plans and petitions be approved by the Chilean government, afterwards they would have to return to their bay via trails or boats and begin to coexist with the sea and the immense forests. Amidst an indomitable natural backdrop, they would need to build a suitable place for families to live, develop gardens and livestock to ensure there would be food, obtain access to services like education and healthcare, and develop economic activity that would keep everything going over time. And so it was that in the midst of heavy rains they assembled the first base of operations with two tents that served as their refuge, and shortly thereafter founded Puyuhuapi (1935), giving their settlement the same name as the fjord. Grosse made a trip to Germany to invite more people to come and participate in the colony, but the war was at the point of breaking out and this prevented him from grabbing the attention of a large numbers. But some of them came, like Walter Hopperdietzel, Ernst Ludwig (the younger brother of Karl) and the first woman, Helen Behn, among others. In parallel, settlers began to hire workers from Chiloe to assist with the construction of buildings. Several worked on a short-term basis but many others came with their families to make Puyuhuapi their home. Among many talents, these workers hand crafted wooden shingles, or tejuelas, using only an ax – and in a bit, we’ll let you know where you can go to see some examples of their work, testaments to the blend of German and Chilota cultures. Little by little, more settlers and workers arrived, bringing along more women and children to live in this tiny community. By 1950 the colony of Puyuhuapi was a veritable beehive of work. It was organized as a cooperative: Otto Uebel was a chemical engineer, but based on his love and knowledge of farming, they asked him to take charge of the livestock. Walter Hopperdietzel was a textile engineer and founded the carpet factory, still in operation today. Ernst Ludwig was in charge of the lumber yard, sawmill, workshops and home construction. Helmut Hopperdietzel was in charge of the communication with the outside world, first as a telegrapher and postmaster, and later, in charge of the coordination of the construction of roads. Meanwhile, Augusto Grosse was hired by the Chilean Ministry of Public Works as an explorer for the colonization of Aysén. His mission was to search for viable routes to unite the localities emerging in disparate points of the region. He toured and documented the entirety of Aysén, providing the base of knowledge that served planners and engineers in the design and construction of the Carretera Austral. Can anyone doubt that he was a visionary? 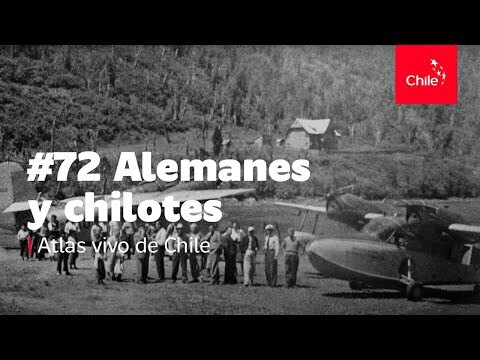 In 1971 Puerto Puyuhuapi was officially recognized by the Chilean State. This picturesque village offers visitors a unique heritage and mix of cultures, as noted in the architecture and gastronomy, which mixes German influences like küchen, strudels and sauerkraut, with that of Chiloe, like fish, curanto, milcao or chapalele. German Colonial Cemetery: Today, this site is a small park where there is a monolith with the names of the first German settlers. The chilote cemetery, which had to be moved for the construction of the Carretera Austral, was located one kilometer south, on the shores of the sea. Colonial Trail: An old trail that crosses streams, meadows, and the site of an ancient rock slide before finally fading away as it enters the deep forest. Catholic Church: Built in 1966 in the style of the churches of Chiloé; its first priest was Fr. Antonio Ronchi, the “missionary of Patagonia” who is remembered throughout this Region for his many public works. Workers’ Houses: These cottages, built in the sixties, with their tejuelas and barn style roofs, are icons of the construction of Puyuhuapi that were typically occupied by Chilote workers who lived in the village. Casa Ludwig: Casa Ludwig is the first private building in the region to achieve the designation of “historical monument”, by the National Monuments Council. Built between 1953 and 1960, by settler Ernst Ludwig, the four-story house is made using the German technique of fachwerk construction, based on diagonal cubes and modified for the materials of the area. Wooden Hydraulic Waterwheel: This waterwheel served to power the machines for the furniture workshop, generate electricity and provide water for the houses. 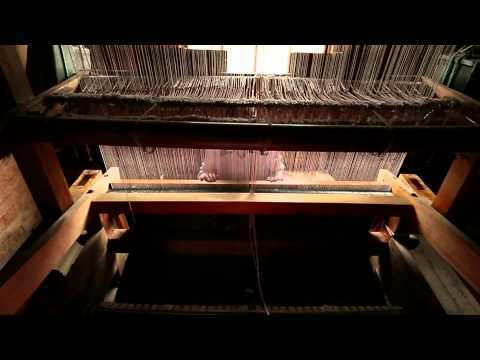 Puyuhuapi Carpet Factory: Walter Hopperdietzel and his father founded the factory in the mid 40’s. 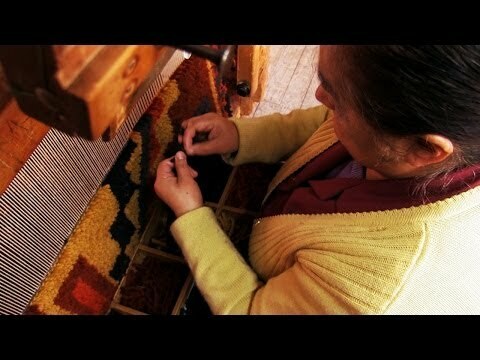 For three generations, it has given employment to women in the area, many of whom arrived from Chiloé, talented in loom work. It is possible to visit and tour.